Product information "Briefcase PASTEUR brown organic leather"
The leather briefcase LOUIS PASTEUR is a product of loving handcraft - it will inspire you with its extraordinary look. 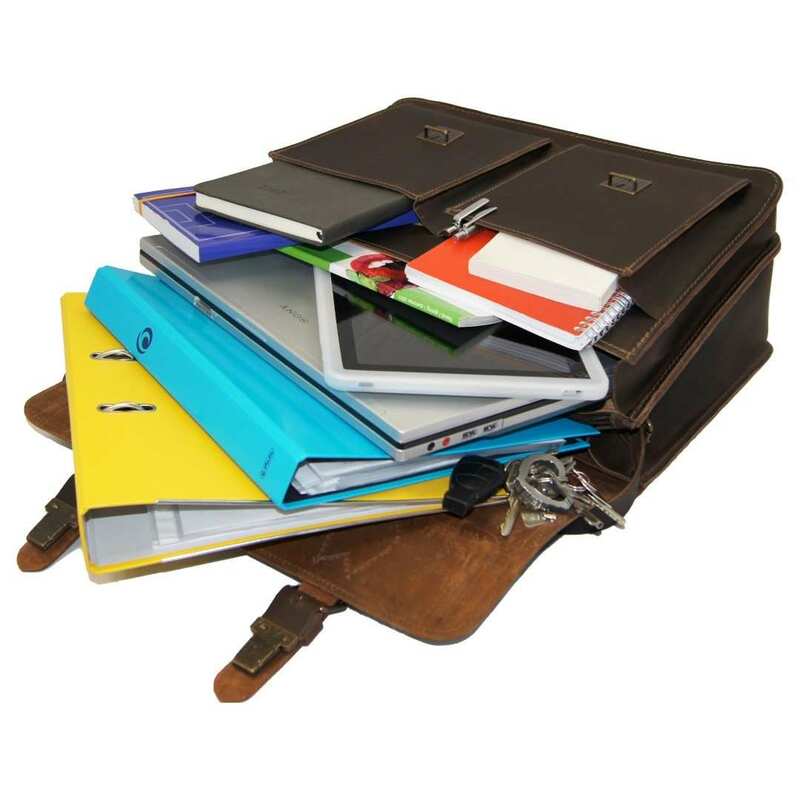 In the briefcase PASTEUR of brown leather of the Collection BARON of MALTZAHN you can safely transport your laptop and further practical things of the daily life. The bag in XXL format is made of special robust genuine leather and attracts by its wonderful design. Because of the many compartments it contains you can keep your belongings well-arranged and always at hand for the quick grip. 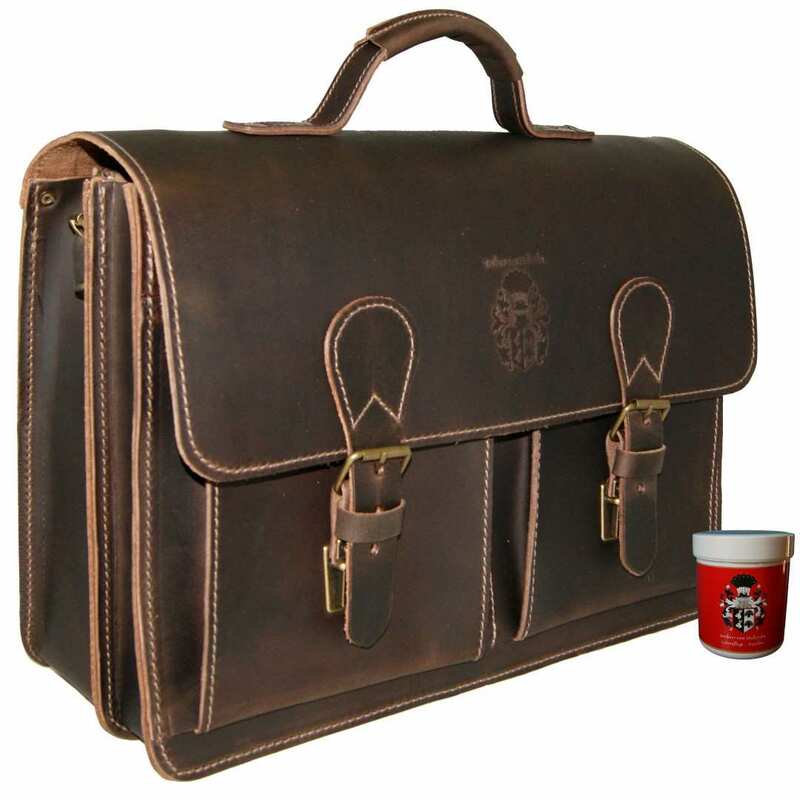 For the production of the leather briefcase PASTEUR, brown bovine leather is used. It is sewn with strong thread by hand. Solid rivets and metal plates make the bag extremely robust and provide long durability. Due to the shoulder pad, you can comfortably hang the briefcase PASTEUR over your shoulder and so your jacket or suits are well preserved. The leather briefcase PASTEUR of brown genuine leather has a perfect size of 16.5 x 13 x 7.3 in (42x33x18.5 cm) and convinces with its well-thought-out division of compartments. The robust material of 2.7 mm thick leather in organic quality makes the bag a resistant companion for every situation. The shoulder strap has a length of 51.2 in (130 cm) and can be adjusted individually according to your preferred size. The briefcase PASTEUR of brown organic leather has a large compartment where you can transport laptops up to a size of 17 inches. Additional space is offered by the extra compartment and by a zippered compartment and two front pockets. 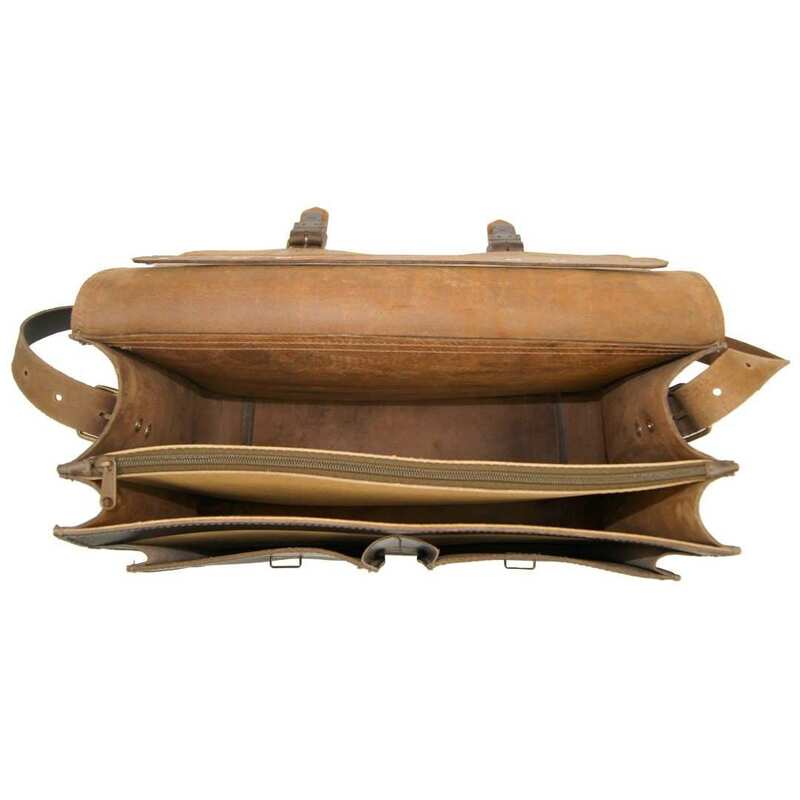 You get the leather briefcase PASTEUR here in this online shop, inclusive the comfortable shoulder pad. 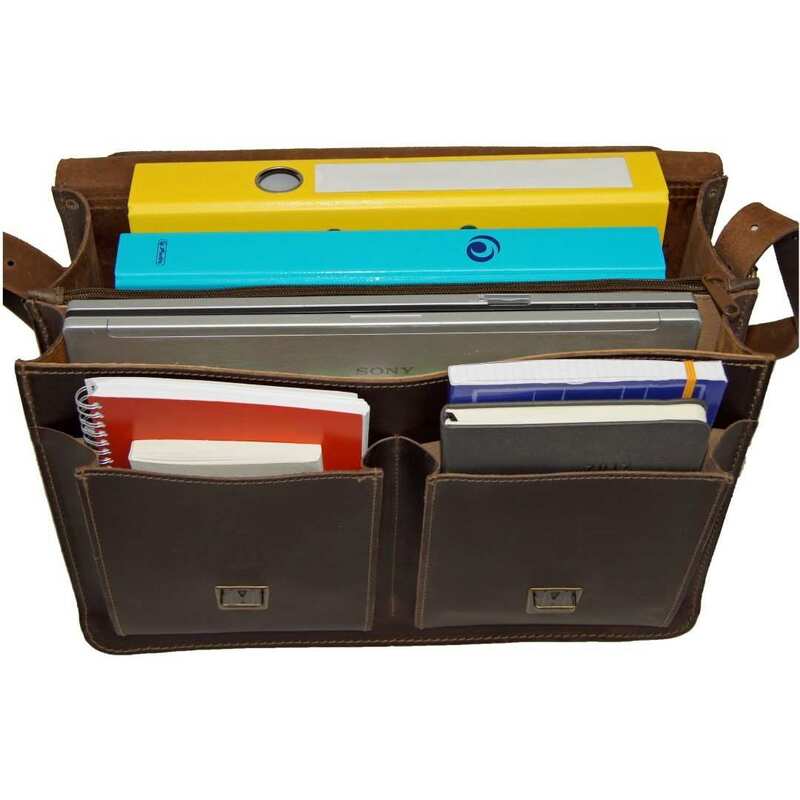 Order now the great brown leather briefcase PASTEUR and make yourself happy! 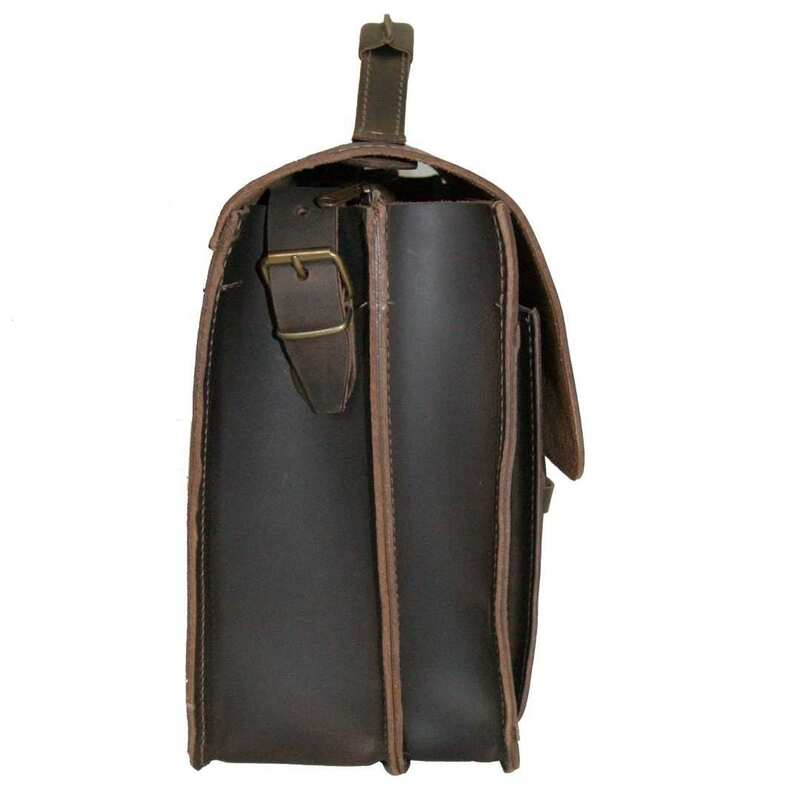 Reviews for "Briefcase PASTEUR brown organic leather"